This pack has been prepared ahead of the debate to be held in Westminster Hall on Wednesday 20 March 2019 from 2.30-4pm on wildlife crime. The debate will be opened by Christian Matheson MP. The National Wildlife Crime Unit defines wildlife crime as any action which contravenes current legislation governing the protection of the UK’s wild animals and plants. This briefing paper provides information on the legislation relating to some high-profile wildlife offences, and the enforcement regime currently in place. The Hunting Act 2004 governs some of the most high-profile offences. It prohibits both hare coursing and hunting with dogs. Further details on these offences are given below. The Ivory Act 2018 prohibits the commercial use of ivory items or those containing ivory regardless of their age, with some exceptions. The House of Commons Library briefing paper on the Ivory Bill provides information about trade in ivory. In England, the Police are responsible for investigating most offences against protected species, with assistance from NE where their resources allow. NE lead on investigations involving damage to Sites of Special Scientific Interest (SSSI), animals under the Wildlife Incident Investigations Scheme (WIIS) and breaches of species licences that it issues. The Police provide assistance to NE where their resources allow. The Partnership for Action Against Wildlife Crime (PAW UK) is a multiagency body comprising representatives of statutory and nongovernment organisations working together to combat wildlife crime. Its objectives are to reduce wildlife crime through effective and targeted enforcement, better regulation and improved awareness. Police (National Wildlife Crime Unit). The National Wildlife Crime Unit (NWCU) is a small specialist police unit responsible for assisting local police forces with dealing with wildlife crimes. The NWCU’s strategic assessment of UK wildlife crime (divided into conservation and non-conservation priorities) was published in June 2018.
using a single dog under the ground to flush out wild mammals, such as foxes, in order to protect birds kept for shooting. The Conservative Party manifesto for the 2015 general election contained a commitment to repeal the Hunting Act. More details are given in the Library briefing paper on Amending the Hunting Act 2004. Hunting with dogs in Scotland is prohibited under the Protection of Wild Mammals (Scotland) Act 2002. Section 2 of the Act includes an exemption which allows any number of dogs to be used for the purpose of flushing a wild mammal from cover. This contrasts with the law in England where a maximum of two dogs is allowed under the Hunting Act. Hare coursing was banned in Northern Ireland by the Wildlife and Natural Environment Act (Northern Ireland) 2011. (26) It is prohibited in Scotland by the Protection of Wild Mammals (Scotland) Act 2002. Data is available for England and Wales between 2013 and 2017 (the 2018 data is scheduled to be released in May 2019). During this period, there were 585 prosecutions and 323 convictions for offences under these laws. In 2017, the latest full year of data, there were 71 prosecutions for these offences. This was lower than in previous years, particularly in comparison to 2013, when there were 180 prosecutions for these offences. In 2017, 52 of the prosecutions were under the Hunting Act 2004, 6 under the Deer Act 1991 and 6 under the Protection of Badgers Act 1996. Prosecutions under the Hunting Act 2004 include a breakdown by specific offence. The majority of prosecutions over the last five years (2013-17) were for ‘hunting a wild mammal with a dog’, and the remaining prosecutions were mainly for ‘participating in or attending a hare coursing event’. Note that these statistics provide only a partial view of prosecutions for wildlife crime. This is because they only show the principal offence, which is the most severe offence for which a defendant is prosecuted or convicted. If a defendant is, for example, convicted of a wildlife crime and another offence with a harsher sentence, the wildlife crime will not show up in the main statistics. c) There were no prosecutions for ‘Knowingly facilitating a hare coursing event’, ‘Permitting land to be used for the purpose of a hare coursing event’, ‘Entering a dog for a hare coursing event’, ‘Permitting a dog to be entered for a hare coursing event’, or ‘Controlling or handling a dog at a hare coursing event’ – also offences under Hunting Act 2004. 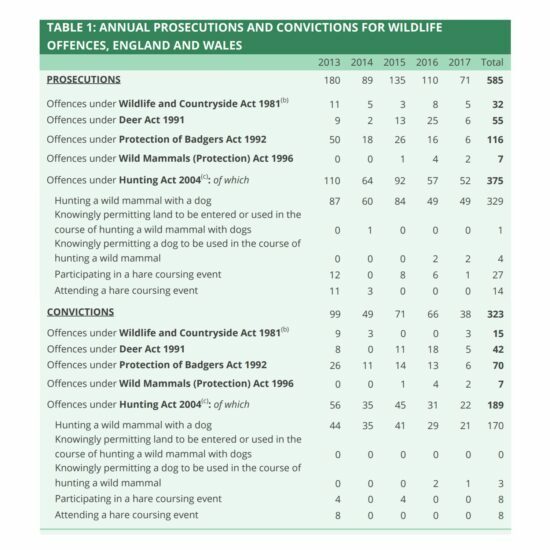 A longer time series, from 2005 to 2018, is available for prosecutions and convictions under the Hunting Act 2004.28 These statistics are for England and Wales. Again, this represents the number of individuals prosecuted and convicted for an offence under the Hunting Act where that was the principal offence. A defendant may be charged with several offences and the principal defence is the one which carries the severer sentence. The MoJ also publishes data on sentencing. Most offenders (88%) were ordered to pay a fine and the remainder either received a discharge or a more severe sentence. No immediate custodial sentences were imposed. Most fines were less than £250 and the average (mean) fine in 2017 was £231. Table 2 shows the number and outcome of proceedings by year and the average fines imposed. Source: Ministry of Justice Criminal Justice System Statistics publication: CJS Outcomes by Offence 2006 to 2016: Pivot Table Analytical Tool for England and Wales; Criminal justice system statistics quarterly: December 2017, Outcomes by Offences tables. Notes: a) The figures relate to defendants for whom these offences were the principal offences for which they were dealt with. When a defendant has been found guilty of two or more offences it is the offence for which the heaviest penalty is imposed. Where the same disposal is imposed for two or more offences, the offence selected is the offence for which the statutory maximum penalty is the most severe. b) Every effort is made to ensure that the figures presented are accurate and complete. However, it is important to note that these data have been extracted from large administrative data systems generated by the courts. As a consequence, care should be taken to ensure data collection processes and their inevitable limitations are taken into account when those data are used. c) Figures for prosecutions in 2008 will exclude data for Cardiff magistrates’ court for April, July and August 2008.
e) The conviction ratio can be calculated as the number of convictions as a proportion of the number of proceedings. This gives a measure of the relative number of defendants who are found guilty within a given year for a certain offence, when compared with the number who are prosecuted that year for the same offence. The Wildlife Crime Working Group works to improve the conservation and protection of wild flora and fauna threatened by domestic wildlife crime and international trade, also seeking to address the associated welfare issues. 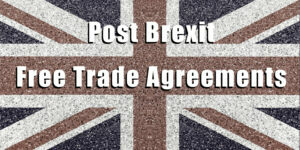 The working group aims to ensure the effective enforcement of UK wildlife laws and the proper implementation of the Convention on International Trade in Endangered Species of Wild Fauna and Flora (CITES), and relevant EU directives. 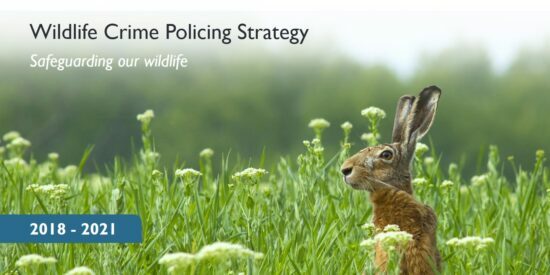 In 2018, the National Police Chiefs Council (NPCC) launched England and Wales’s first Wildlife Crime Policing Strategy, running from 2018-2021. It was launched alongside a Rural Affairs Strategy at the NPCC Rural Affairs Summit, which a number of Group members attended. 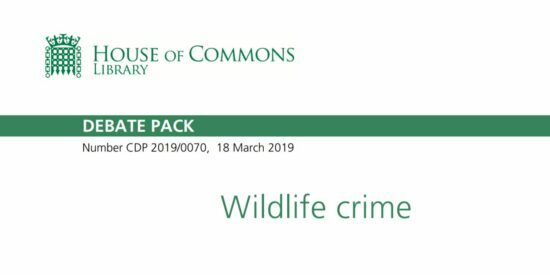 Produced in close consultation with many members of this group, the Wildlife Crime Policing Strategy contains much to be welcomed, including echoing our calls for improved recording of wildlife crime. Shortly before the launch of this strategy, members met with Home Office Minister, Victoria Atkins, to advocate for better central recording of wildlife crime. The Minister noted that any changes to the way in which wildlife crime is recorded must have the full support of the police. Publication of this strategy demonstrates that there is clear consensus between the police and the NGO sector, therefore strengthening the case for Home Office to make the urgent improvements needed to protect our wildlife from criminals. The Group is now supporting the National Wildlife Crime Unit (NWCU) in their pitch to the National Crime Registrar for improved recording of wildlife crime. To strengthen our calls for improvements to wildlife crime recording further, in November Wildlife and Countryside Link and Wales Environment Link published their second Annual Wildlife Crime Report – this time looking at crime in 2017. Data on wildlife crime in England and Wales collected by members show an increase of 24% in reported terrestrial wildlife crime incidents, with a 9% rise overall. Shockingly, only nine individuals and businesses were prosecuted last year for the wildlife crimes on which Link members collect data. This is down two-thirds on the 22 people convicted in 2016. Mark Jones, Chair of Link’s Wildlife Crime Working Group, will launch the report at the National Wildlife Crime Enforcers’ Conference in December. 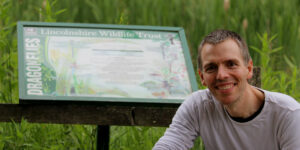 The story was covered in the Telegraph and is the subject of a Link blog by the Group’s Vice-Chair Pete Charleston. You can read Link’s press release here. While the figures themselves tell a grim story, the reason Link produces an Annual Wildlife Crime Report is to advocate to Government that it must centrally record wildlife crime and produce its own annual report – as is done by the Scottish Government. At present, data on wildlife crime, such as that collected by Link members, are piecemeal and difficult to collate. Recording wildlife crime centrally would allow Government and police forces across England and Wales to track trends and allocate resources much more efficiently. Many Group members played a prominent part in the landmark London International Wildlife Trade Conference in October 2018. 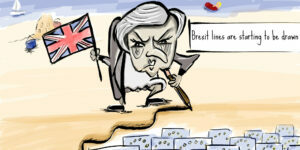 The conference, organised jointly by the Home Office, Foreign Office and Defra, brought together 1,500 delegates from over 80 countries including numerous Heads of State and Ministers. Heads of State signed a Declaration promising to increase action to tackle the illicit financial flows associated with wildlife trafficking and related corruption, and welcomed action to treat wildlife offences as predicate offences, including for money laundering crimes. However, the lack of tangible, clear, time-bound, measurable commitments in the Declaration leaves a feeling of an opportunity missed, and will make it hard to hold governments to account in spite of their fine words. Crime Minister Victoria Atkins and cross-party MPs showed their support for the CLA’s campaign to stamp out hare coursing at an event in Westminster yesterday (16 October). The Home Office Minister heard first-hand from CLA members about the impact hare coursing has on rural businesses and communities. Hare coursing is where dogs are used to chase, catch and kill hares with betting on the outcome. It was outlawed by the 2004 Hunting Act but takes place illegally without the permission of the landowner. The CLA, whose members own or manage more than 10 million acres of rural land across England and Wales, highlighted the seriousness of this rural crime to MPs, calling for sentencing guidelines specifically related to the crime. Hare coursing is illegal and an abhorrent crime that causes damage to land and property and those who seek to intervene are often threatened, intimidated or attacked. Hare coursers are hardened criminals who make large sums of money as a result of black market gambling and tough action is needed to stop them. Introducing specific sentences for hare coursing and helping police reclaim kennelling costs for dogs seized from offenders would help to deter the crime and make rural communities feel safer. Among those MPs lending their support to stamp out hare coursing were Shadow Farming and Rural Affairs Minister David Drew and Graham Stuart, MP for Beverley and Holderness, who hosted the event. He said: “Raising awareness of and supporting this campaign is extremely important as it affects so many people and communities across the UK and is not exclusive to any particular region or area, we must all work towards ultimately eradicating this criminal act from our society. For too long have our rural communities and farmers been terrorised by groups of people doing this vulgar so-called ‘sport’. It is right that we make more policymakers aware of the crime and advise them on what they can do to help support the campaign. It is my hope that along with the CLA, other MPs and support from people across the UK we can work together to put an end to hare coursing. Gamekeepers are very much on the frontline. Organised gangs of criminals are using high powered 4×4 vehicles, dogs specifically bred to kill and often carry firearms. 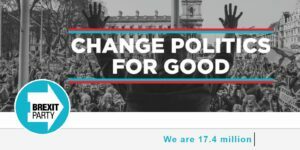 Tens of thousands of pounds can change hands in a single night. We need more support and better legislation to deter hare coursing and associated wildlife crimes such as poaching. Read the CLA’s action plan to stamp out hare coursing in full. View #haltharecoursing social media activity on Twitter. A group of agencies chaired by Natural England has joined forces to tackle the seasonal issue of illegal hare coursing. Hare coursing has been illegal for more than a decade, since the implementation of the Hunting Act 2004. This banned activity sees greyhounds and other ‘sight’ hounds, such as lurchers, chasing a hare by sight, not scent. Usually, but not always, it’s carried out in groups. The dogs flush out the hares in the fields and are then released from their leads to chase, and often kill, the hare. Frequently the practice is highly organised. Significant sums of money can change hands in the form of illegal betting and gambling on the outcome. The victor is determined by the first dog to catch and ‘turn’ the hare or kill it. Those engaged in this illegal act trespass on private land, damaging crops and property, as well as intimidating and showing violence towards those who challenge their presence. It can also be very distressing for members of the public to witness hare coursing. We also believe that many of those engaged in hare coursing also commit other offences against the rural community, such as theft of farm machinery, diesel, tools and off road vehicles. Operation Galileo is targeting Hare Coursing throughout the East of England. As part of this operation there are special days of action where Wildlife Crime Officers will be carrying out patrols along with other officers who will receive special local briefings and pay attention to hotspot areas within their districts, dealing robustly with offenders. This is the first year that all six Forces in the East of England are all co-operating together in relation to Hare Coursing Operations over the course of a ‘season’. This will help ensure that the East of England will not tolerate people coursing anywhere in the Region. But not only that, we are hoping all other areas of England and Wales will carry out their own operations on these dates to make the countryside a “no go” area for these criminals. If you think you are witnessing hare coursing in progress call 999 immediately. Other information should be reported via the nonemergency number 101, or online at www.herts.police.uk/report (or via other Forces online reporting tools). Currently the maximum sentence is six months but following a consultation the Government has today confirmed it will legislate to increase that tenfold for serious offences, sending a clear sign there is no place for animal cruelty in England. The consultation also set out proposals to ensure animal sentience is reflected in domestic law when we leave the EU. A summary of responses has been published today and work on this will continue. This Government is making good on our commitment to make the UK a world leader in the care and protection of animals as we leave the EU. Our proposals to raise maximum sentences for animal abusers attracted strong support. We will now legislate so courts have the power to punish offenders properly. We will also continue to work with welfare organisations to ensure that animal sentience is properly recognised in our legislation once we have left the EU. The Government also supported the Animal Welfare (Service Animals) Bill, introduced to Parliament by Sir Oliver Heald MP. The Bill, which passed its second reading in July, will ensure service animals such as police dogs and horses will be offered greater protection. The proposed legislation will remove a section of the current law of self-defence, often used by those who harm a service animal in the process of committing a crime. The move has been strongly welcomed by animal welfare groups and follows dedicated campaigning from Battersea Dogs & Cats Home. Battersea welcomes the results of today’s consultation as they confirm the nation is no longer prepared to put up with a six month sentence for shocking cases of cruelty to animals. We believe a five year maximum sentence is far more appropriate and to the credit of the Government they have listened. We look forward to seeing the Bill laid before Parliament this year. These plans are part of wider programme of reform to cement the UK’s position as a global leader on animal welfare. This includes making CCTV mandatory in all English slaughterhouses and taking steps to control the export of live farm animals for slaughter as we leave the EU. New technology will help crack down on crimes against raptors in England and Wales. Raptor persecution maps for England and Wales have been published to enable the police to clearly see where the highest incidents are taking place and focus enforcement efforts in the areas that need it most. The maps present the number of shootings, trappings, poisonings and nest destructions that took place across England & Wales between 2011 and 2015 and will be updated annually, providing an invaluable intelligence tool to help fight crimes again birds of prey. North Yorkshire will be a priority area as the most incidents occurred there (39), followed by Norfolk (17), Cumbria (11), Derbyshire (11), Lincolnshire (10), Suffolk (8) and Northumberland (8). Birds of prey are a vital part of our animal landscape, icons of our cultural heritage and key to boosting local economies by attracting visitors to England and Wales. These maps highlight hotspots across the country for crimes against these precious birds, enabling the police to crack down with increased enforcement in areas where it’s needed most – building on the valuable work land management, conservation and shooting organisations are already doing to help protect iconic birds of prey. There are already strong penalties in place for committing offences against birds of prey and the unlawful use of traps and all wild birds are protected under the Wildlife and Countryside Act 1981. These maps build on this valuable work and will help boost the fight against those who continue to commit crimes against raptors. In the five year measurable period there have been 262 incidents in England and Wales: 146 of these caused by shooting and 66 by poisoning. To ask the Secretary of State for Environment, Food and Rural Affairs, what steps his Department is taking to prevent birds of prey being stolen to order. The Government takes wildlife crime, including the illegal taking of birds of prey, seriously. All wild birds are protected under the Wildlife and Countryside Act 1981, with strong penalties for those committing offences against birds of prey including up to six months in prison and/or an unlimited fine. Birds of prey are listed on the Convention on International Trade in Endangered Species (CITES), which controls trade in endangered species through a permitting system. This protects species from the risk of extinction due to unsustainable trade. The Control of Trade in Endangered Species Regulations 2018 means that anyone committing CITES offences, including trying to trade in birds of prey taken from the wild, could face up to five years’ imprisonment and/or an unlimited fine. Raptor persecution and CITES issues are two of six UK wildlife crime priorities. Local police and Border Force are responsible for wildlife crime enforcement. The National Wildlife Crime Unit, which is co-funded by Defra and the Home Office, provides intelligence to support police and Border Force enforcement activities. To ask the Secretary of State for the Home Department, what plans the Government has to increase police resources to deal with crimes against animals and wildlife, including investigating reports of illegal fox hunting. The Home Office, along with the Department for Environment, Food and Rural Affairs, committed to fund the National Wildlife Crime Unit until 2019/20. This money is in addition to central government funding to police forces. Decisions on funding the National Wildlife Crime Unit beyond 2020 will be taken at the next Spending Review. The Government does not prescribe the nature or level of resources deployed by individual police forces to tackle crimes against animals and wildlife or any other form of crime. It is for Chief Constables and Police and Crime Commissioners, as operational leaders and elected local representatives, to ensure that forces’ priorities locally reflect those of their communities, and it is important that forces have the flexibility to deploy their resources without Government interference. What assessment he has made of the effectiveness of the CPS in prosecuting offences under the Hunting Act 2004. Each CPS area has a Crown prosecutor dedicated to act as a wildlife, rural and heritage crime co-ordinator, to ensure that the specialist knowledge needed to prosecute such offending is readily available. Coordinators work closely with specialist officers from local police forces and from the National Wildlife Crime Unit, to ensure a robust CPS response. To ask Her Majesty’s Government what plans they have to counter the unlawful killing of hen harriers. The Government is very concerned about hen harrier populations, which is why we took the lead on the Hen Harrier Action Plan. This sets out what will be done to increase hen harrier populations in England and includes measures to stop illegal persecution. A copy of the plan is available on GOV.UK. All wild birds are protected under the Wildlife and Countryside Act 1981, with strong penalties for committing offences against birds of prey and other wildlife. The Government takes wildlife crime very seriously and has identified raptor persecution as a national wildlife crime priority, focusing on hen harrier, golden eagle, goshawk, peregrine, red kite and white tailed eagle. To ask Her Majesty’s Government what resources are in place to implement the ban on hare coursing. Local police forces are taking steps to address hare coursing and associated crimes. The role of locally elected Police and Crime Commissioners is to hold their forces to account, including on how they tackle the crimes that matter most to residents and businesses. The National Wildlife Crime Unit includes hare coursing as one of its priorities. In addition, the six police forces across the East of England have come together and are deploying Operation Galileo to tackle hare coursing. To ask the Secretary of State for Environment, Food and Rural Affairs, if he will bring forward legislative proposals on vicarious liability for crimes against birds of prey. All wild birds are protected under the Wildlife and Countryside Act 1981, which provides a powerful framework for the conservation of wild birds, their eggs, nests and habitats. There are no plans to introduce vicarious liability in England for offences related to wildlife crime. To ask Her Majesty’s Government what assessment they have made of problems caused by illegal hare coursing. The Government is aware of the issue of illegal hare coursing and the considerable concern it can cause to rural communities. We recognise that local police forces are taking steps to address hare coursing and associated crimes and that this is an operational matter for the police. The role of locally elected Police and Crime Commissioners is to hold their forces to account, including on how they tackle the crimes that matter most to residents and businesses. The National Wildlife Crime Unit includes hare coursing as one of its priorities. In addition, the six police forces across the East of England have come together and are deploying Operation Galileo to tackle hare coursing. To ask Her Majesty’s Government what action they are taking to ensure the crime of badger baiting is ended. Badgers and their setts are protected under the Protection of Badgers Act 1992, which makes it illegal to kill, injure or take badgers or to interfere with a badger sett. Interference with a sett includes blocking tunnels or damaging the sett in any way. Badger persecution (including badger baiting) is one of the UK’s six wildlife crime priorities. Each UK wildlife crime priority has a delivery group responsible for taking forward actions to gather and share intelligence to inform enforcement activities. To ask the Secretary of State for Environment, Food and Rural Affairs, on how many occasions in the last three calendar years the Department for Environment, Food and Rural Affairs was notified of the sale of tortoises without correctly completed Article 10 transaction certificates; and how many of those reports (a) were investigated and (b) resulted in (i) prosecution and (ii) another legal remedy. The Animal and Plant Health Agency (APHA) refer all investigations to the National Wildlife Crime Unit or the local Police Force to take forward. APHA are not provided with updates on cases and therefore do not hold records of how many were investigated, prosecuted or had other legal remedies. To ask the Secretary of State for the Home Department, pursuant to the Answer of 20 February 2018 to Question 127241, what information her Department holds on the number of fully trained wildlife crime officers in each year since 2010. The Home Office does not hold centrally any information on the number of trained wildlife crime officers. It is for elected Police and Crime Commissioners and Chief Constables to decide how their force’s resources are deployed. To ask the Secretary of State for the Home Department, whether police officers appointed as wildlife crime officers hold a range of other responsibilities. The Government does not prescribe the nature or level of resources deployed by police forces to tackle wildlife crime. Whether wildlife crime officers focus solely on tackling wildlife crime, or hold a range of other responsibilities, are operational matters for police forces. It is for Police and Crime Commissioners to ensure that forces’ priorities reflect those of their communities, and individual forces must have the flexibility to deploy their resources without Government interference. To ask the Secretary of State for the Home Department, what comparative estimate she has made of the number of fully trained wildlife crime officers in 2010 and 2018. It is for elected Police and Crime Commissioners and Chief Constables to decide how their force’s resources are deployed and how best to manage their communications with the public. To ask the Secretary of State for Environment, Food and Rural Affairs, what his policy is on preventing the persecution of raptors. All wild birds are protected under the Wildlife and Countryside Act 1981, which provides a powerful framework for the conservation of wild birds, their eggs, nests and habitats. The Government is committed to ensuring the protection afforded to wild birds of prey is effectively enforced. There are strong penalties for offenders, including imprisonment. Raptor persecution is one of six national wildlife crime priorities. Each wildlife crime priority has a delivery group to consider what action should be taken and develop a plan to prevent crime, gather intelligence on offences and enforce against them. The Raptor Persecution Priority Delivery Group (RPPDG) focuses on the golden eagle, goshawk, hen harrier, peregrine, red kite and white tailed eagle. The National Wildlife Crime Unit, which is part funded by Defra, monitors and gathers intelligence on illegal activities affecting birds of prey and provides assistance to police forces when required. 10 Section 6 of the Act states the liability as a fine not exceeding level 5 on the standard scale. The Sentencing Council explains that level 5 fines are unlimited for offences committed after 13 March 2015, and up to £5,000 for offences committed before this date. 28 Ibid: ‘Outcomes by offence data tool’. 29 The conviction ratio can be calculated as the number of convictions as a proportion of the number of proceedings. 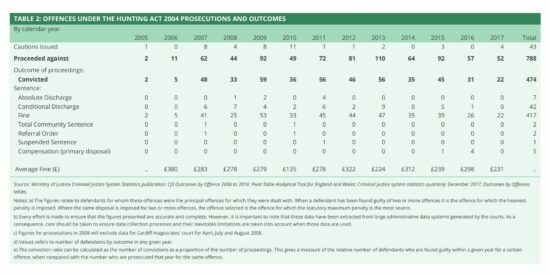 This gives a measure of the relative number of defendants who are found guilty within a given year for a certain offence, when compared with the number who are prosecuted that year for the same offence.